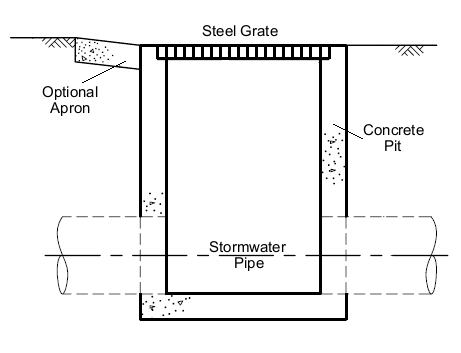 A field inlet pit is a grated stormwater pit designed to drain a low point. 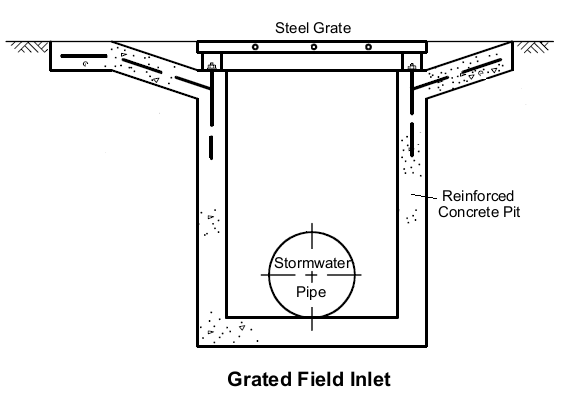 Field inlet pits are typically located in parks, footpaths, medians and similar locations. 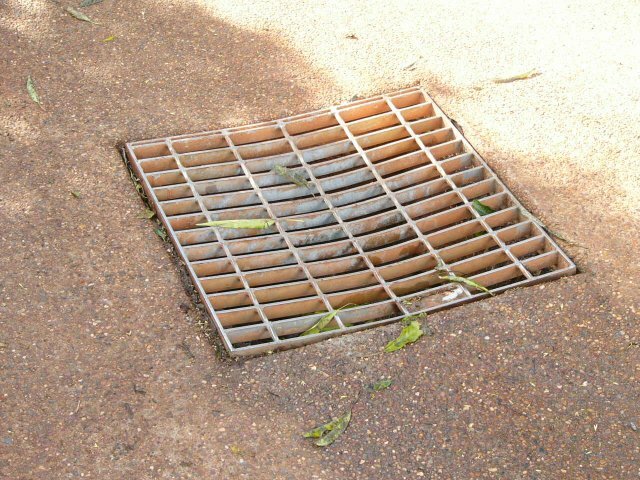 Where there is considerable pedestrian traffic adjacent to the pit grates with close bar spacings are necessary, in less trafficked areas, a wide bar spacing is better to reduce the risk of blockage by debris.